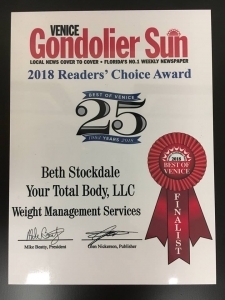 Beth “Annie” Stockdale is Certified through the National Academy of Sports Medicine as a Personal Trainer, with specializations in Corrective Exercise, Weight Loss, and Women’s Fitness. She is also a Certified Health Coach to educate about proper, solid, no-nonsense nutrition. 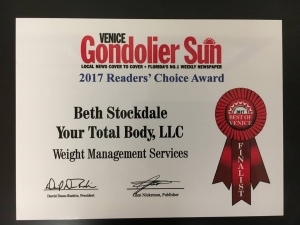 Your Total Body LLC was born in 2012 out of a need for a total body approach to fitness and wellness, with a concentration on your individual health and well-being. We will work within your budget to provide you with the best wellness opportunities possible – that is our passion. As part of your individual program, we can design exercise regimens, recommend smart food choices, and implement nutrient supplementation protocols to optimize your health or weight loss. 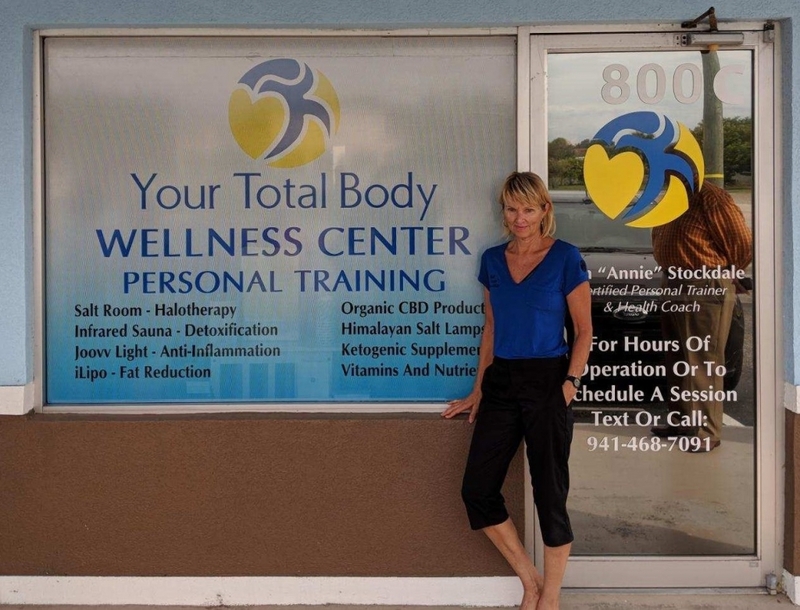 Enjoy the privacy and confidentiality of working out in the Your Total Body Wellness Center or, we can take your exercise program anywhere – to the beach, to the water, or to your own backyard! Relax in the Wellness Center welcoming area and explore quality CBD products, VoxxLife Socks, JuicePlus+ whole food nutrition, and even enjoy a cup of CBD coffee. Signup for a Endocannabinoid Assessment and have a CBD oil blend customized to fit your individual needs. Ms. Stockdale is originally from a small town outside of Pittsburgh, Pennsylvania. She worked for the National Park Service, and had the privilege of living for years in Grand Canyon National Park (South Rim) and Yosemite National Park. Her parents (Shirley and Casey) were snowbirds for years, and setup residence in Englewood. She fell in love with the area, and has called it her home for quite some time now. 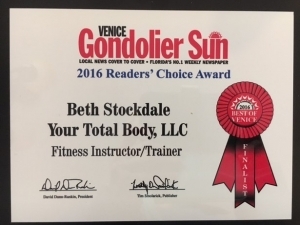 Ms. Stockdale has been honored with the Venice Gondolier Sun Readers’ Choice Award three years in a row.